NAAD Foundation, a public charitable trust In Association with Arts Vintage have organized a great evening at Sri Sathya Sai Auditorium Bhishm Pitamah Marg Lodhi Road New Delhi where Asmita Theatre Group have performed play 'Jis Lahore Nai Vekhya o Jamyai Nai', a play By Asghar Wajahat directed by Arvind Gaur of Asmita Theatre Group. Actors : Kakoli Gaur, Rahul Khanna, Saveree Gaur, Ishwak Singh, Amit Rawal, Davinder Kaur, Girish pal and Shashank Verma, Shivam Bhasin Many renowned faces like Mr. Manoj Tiwari President Delhi BJP, Mr. Rajiv Shukla and DG BSF Mr. K K Sharma were present during the occasion. Ms. Nishi Singh Management Trustee of NAAD Foundation welcomed all the guests and expresses her gratitude. 'Jis Lahore Nai Vekhya o Jamyai Nai' is a play written by Asghar Wajahat. The play has been adapted and staged over last 25 years all over the world but its popularity has refused to fade. The reason behind is its appeal to universal human brotherhood cutting across barriers like religion. 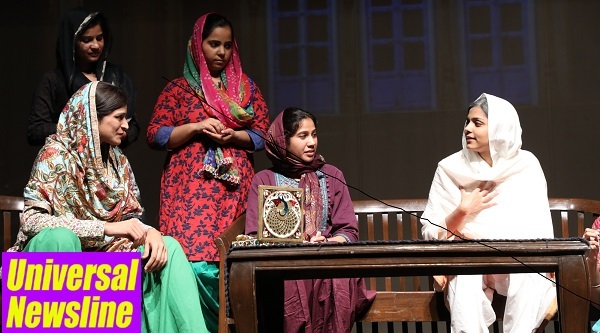 The play highlights the train and tribulations of the common people during Partition through the story of a old Hindu woman who is left behind in Lahore during the Partition. And how her bond evolves with a Muslim family displaced from Lucknow. About NAAD Foundation: “NAAD Foundation” is a public charitable trust with the objectives of alleviating the suffering of humans and to develop opportunities for the under privileged so that they can improve their lives and stand on their own to make them independent, through spreading education, organizing different charitable events like health camps, educational and Medical camps, different competitions etc. and also through providing counseling and advisory services to them. NAAD Foundation came into an existence in the year 2008 as a registered Trust by Ms. Nishi Singh. It is also registered under section 12AA and 80 G of the Income Tax Act, 1961.